Doing promotion of Scouting through videos? Then Check this out! Growth through Quality > Doing promotion of Scouting through videos? Then Check this out! Many NSOs/NSAs not just in the European Scout region, but worldwide are using videos as one of the tools for their promotion, as well as for attracting new members and new Scout leaders. This article is providing a list of some of the videos that can be found on internet, that are produced in the last several years. Some of these videos are short some of them are longer, produced with different techniques and equipment. Some of the videos are produced for promotion of certain dates or events, and some of them are for promotion of the Scout organizations/association or the movement itself. This article is not planned to make evaluation of these videos as tools for promotion and membership growth, but just to present them as practices that can serve as generators of ideas for other NSOs/NSAs. 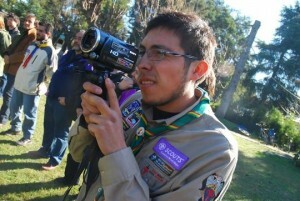 Many NSOs/NSAs have developed their videos with a main goal promotion of scouting and attracting more membership. Here we will present videos from some of the NSOs. Think you know Scouting? Think again! What can change a life? Boy Scouts of America has a series of webinars and podcast recordings that have been presented to assist in the membership campaign. Presentations can be used to reinforce how to make an impact in membership. If you are aware of any video produced by any NSO/NSA and, according your opinion, is interesting to be shared with Scouts from other countries, please send it to Jordan Bajraktarov (jbajraktarov@scout.org), so information about it can be shared here.